Property 16: Anjana Villa is a modern detached three bed roomed villa. The Tree Retreat-a stunning & spacious vacation villa near Hikkaduwa, Sri Lanka. 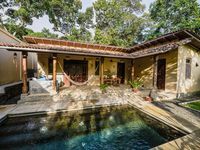 Property 33: The Tree Retreat-a stunning & spacious vacation villa near Hikkaduwa, Sri Lanka. 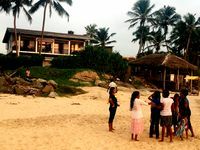 Sunny Side 89 Accommodation For Foreigners & Sri Lankan Health Professionals. Property 47: Sunny Side 89 Accommodation For Foreigners & Sri Lankan Health Professionals. My family and I had a great time at Handugoda Lodge. The location is lovely and quiet, the kids (7 &amp; 4) loved the pool, Mala took time to play with the kids and prepared lovely meals for us. Our stay here was the most relaxing part of our trip.